India News | The National Latest and Live News of India - INDILIVENEWS The great election bazaar is here. What party are you wearing? 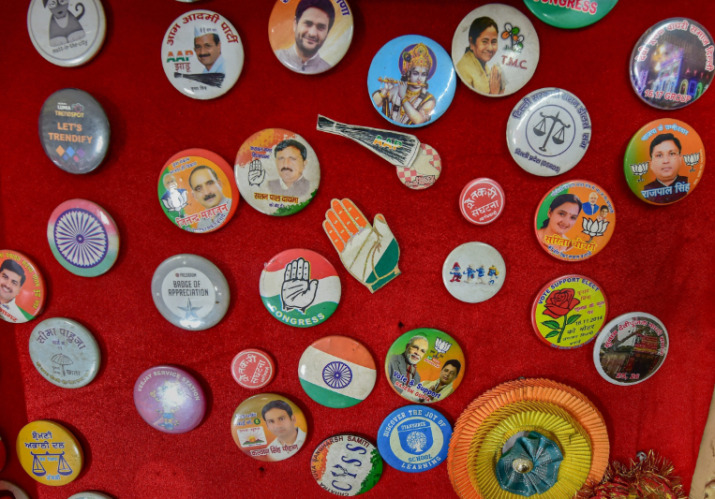 As India hurtles towards elections, balloons, buttons, banners and brightly hued saris and T-shirts are the order of campaigning days. You can wear your party loyalty on your sleeve, on your chest or even drape it around you.